An Ancient Solar System...: The Universe in 101 words: How was the Sun born? Above: A vast emission nebula, where stars are conceived. There are places where the thin gas between the stars is just a bit thicker: Nebulae. 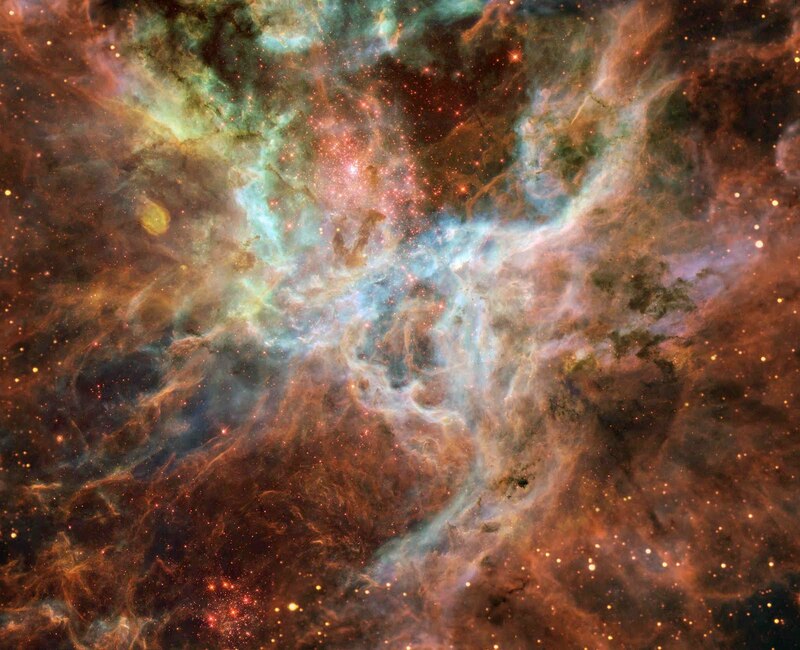 Billions of years ago, a supernova’s shockwave hit one. It broke the nebula into knots, about a light year wide, called Bok Globules*. Gravity took over, compressing these clouds until they blocked all light. Inside the clouds huge spheres of collapsing gas formed. Compression heats things and gravity is really good at compression**: The spheres started glowing. Hydrogen atoms started fusing together, generating massive amounts of energy - they became stars … and one was our Sun. **If you’ve ever given a five year old a shoulder ride for a long period of time, your vertebra know what I mean. 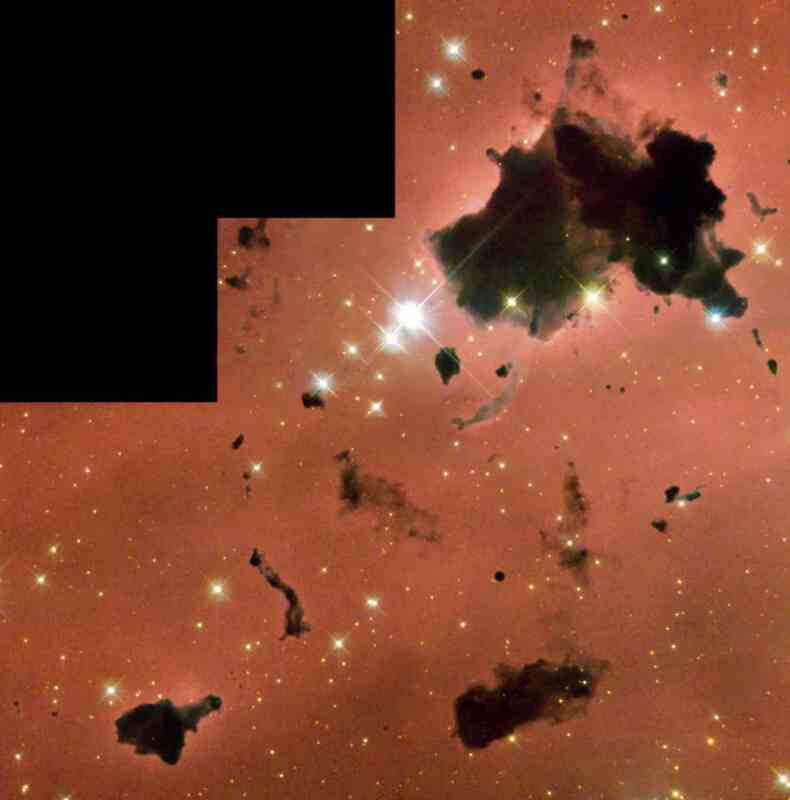 These dark clouds are Bok Gobules, floating in a sea of pinkly glowing hydrogen gas.